If you like nice stories about nice boys and girls doing nice things, then this isn't the book you're looking for. If you like to see teachers getting splattered with tomatoes, policemen being chased by gnashing dogs and grown-ups getting exactly what they deserve, then this is the book you're looking for! 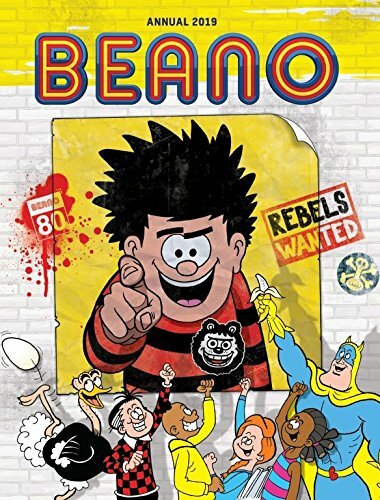 Join Dennis the Menace, Roger the Dodger, Minnie the Minx and The Bash Street Kids for mischief, mayhem and menacing in The Beano Annual 2019- the best Beano Annual ever!